A private apartment is the ideal accommodation for those who are looking for complete independence, a little more comfort and private bathroom facilities. Apartments are furnished and come fully equipped with a kitchen and bathroom/shower. This accommodation is suitable for both short and long-term stays. The apartments are all comfortable and range from studios to one or 2 bedrooms. They may be located in any part of town but most are within a short walk or bus ride of the school. 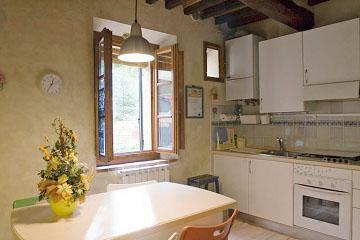 Please note that the number of short-term rental apartments in Siena is limited. Prices depend on location, size, services, types of equipment and season. A deposit is often required upon arrival, and electricity and water expenses are sometimes extra. Please give us as much notice as possible if booking a private apartment.